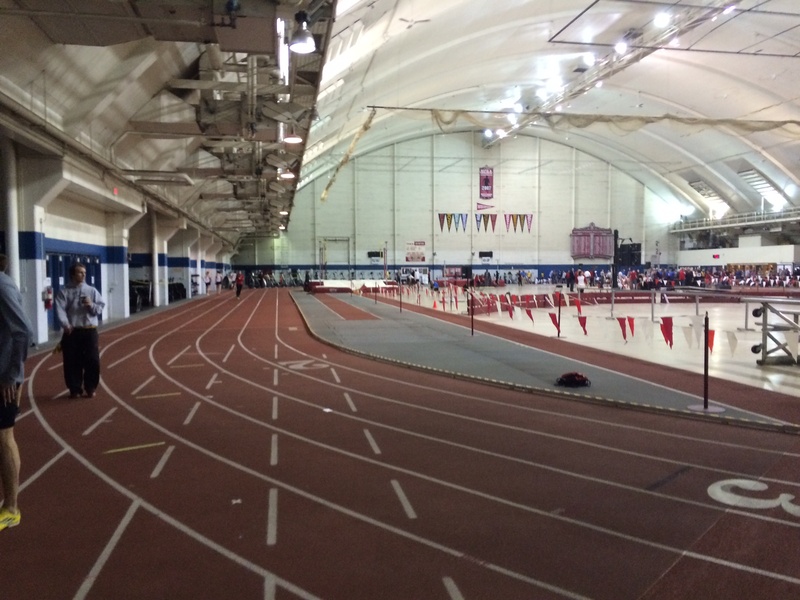 I usually don’t post indoor tracks, mainly because aerial satellite photo don’t really work for indoor facilities. I’m posting this bonus indoor track today though, because I actually drove down to Madison and the University of Wisconsin this weekend to compete at the Red & White Open, and got a couple photos. 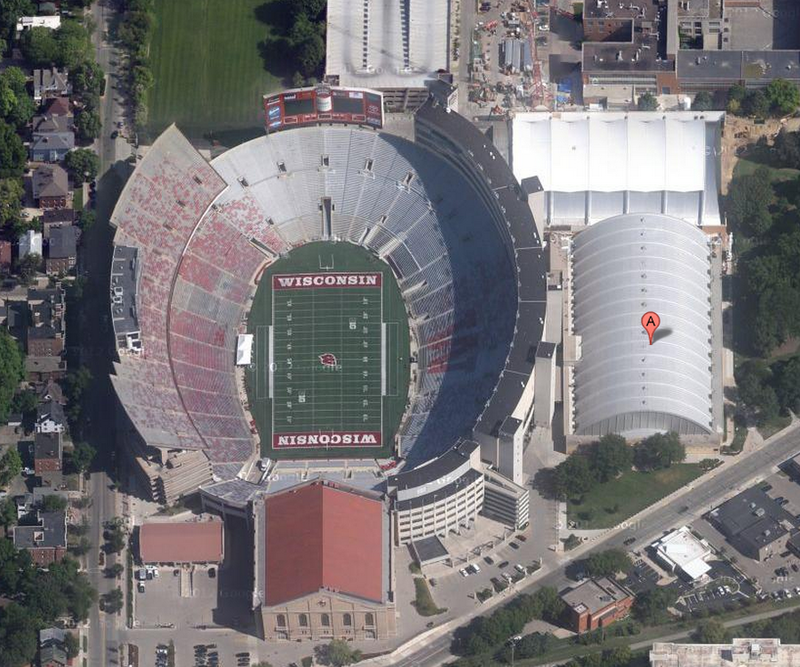 The Shell is located right next to Camp Randall Stadium. 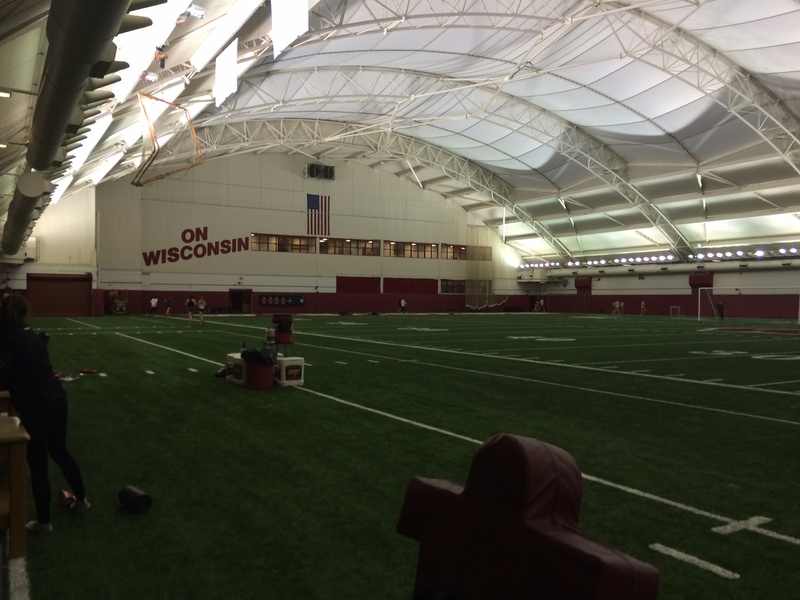 It is your typical, old, Big Ten facility. Nothing fancy, but has a long history. The roof is a very high arch across the whole space, making it seem very large. 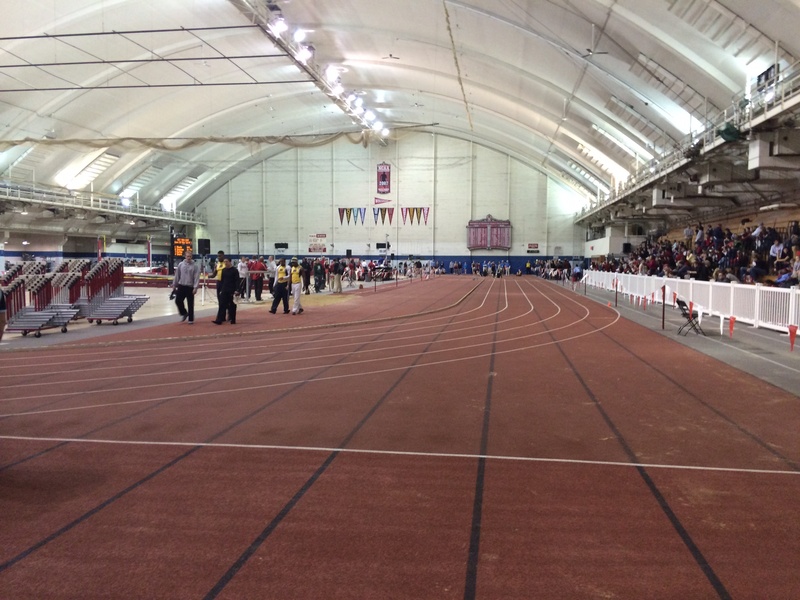 The track surface is getting older, having been installed in 1996. It’s a Mondo track, and it seemed a little hard to me, but therefore makes for fast times. The track barely fits inside the space. Wooden bleachers are located on the side of the main straightaway, but the track takes up everything else. All field events are contested on the inside. This makes warm-ups a little tricky and tight. 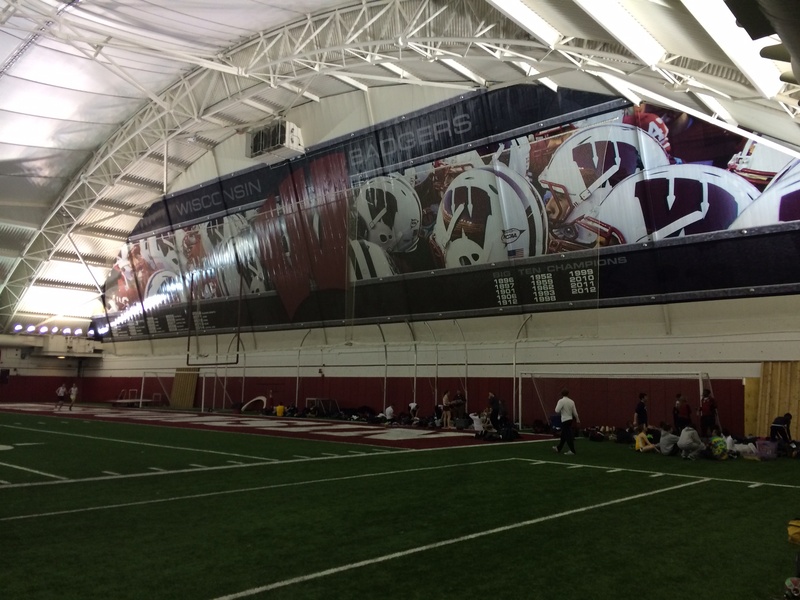 Fortunately, the indoor field at the McClain Center is right next door, and can be used for warm-up purposes. This was really nice! It was a lot of fun to go somewhere new to race. I’ll definitely consider going back next year.